Newly single and far from home, Professor Molly Barda wants to stay out of trouble until she gets tenure at remote Mahina State University. But when local big-shot Jimmy Tanaka, pledges a huge donation to Molly's college and then disappears, Molly's bottom-line-obsessed dean tasks her with locating the missing mogul. As Molly explores ancient grudges and uncovers old scandals, she starts to fall for Tanaka's competitor, the too-good-to-be-true Donnie Gonsalves. Donnie seems to like her for all the wrong reasons--and has a few secrets of his own. 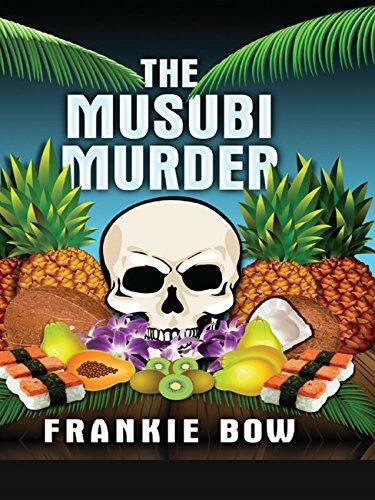 The Musubi Murder is for mystery loversHawaii expatriatesdisillusioned academicsanyone who fancies Spam (the meat)What is a Musubi (pronounced moo-soo-BEE)? The Spam musubi, Hawaii's favorite snack and Merrie Musubis' signature dish, is a cube of sticky rice topped with a slice of fried Spam, and then wrapped in a strip of dried seaweed. 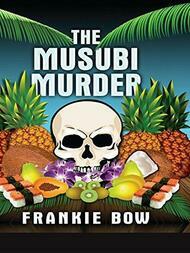 From a distance, musubis look a lot like oversized pieces of sushi.In addition to the Professor Molly Mysteries, Frankie writes the Mary-Alice Files, ranked #1 in Kindle Worlds Humor and Satire: amzn.to/2oXTxGKAmazon categories: Cozy MysteryWomen SleuthsAmateur SleuthsIsland SettingsSatireIf you like Dorothy Parker, Sarah Caudwell, P.G. Wodehouse, and E.F. Benson's Mapp and Lucia stories, give the Professor Molly Mysteries a try.